Mindy Sipin (LPGA T&CP) has announced her Junior Golf Schedule as she knows many families plan their summers ahead. The all day Kids Camps fill up quickly, so please reserve your spot ASAP. 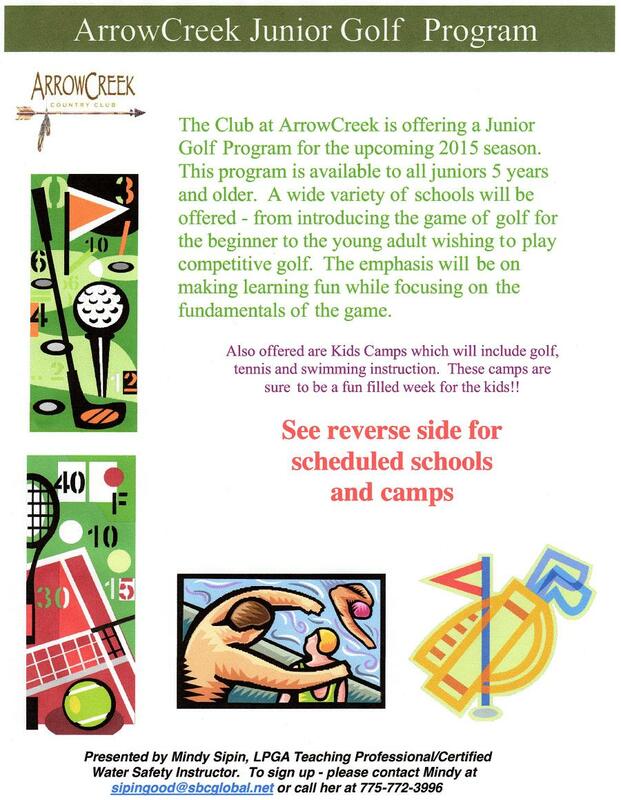 The Club at ArrowCreek is offering a Junior Golf Program for the upcoming 2015 season. This program is available to all juniors 5 years and older. A wide variety of schools will be offered – from introducing the game of golf for the beginner to the young adult wishing to play competitive golf. The emphasis will be on making learning fun while focusing on the fundamentals of the game. Also offered are Kids Camps which will include golf, tennis and swimming instruction. 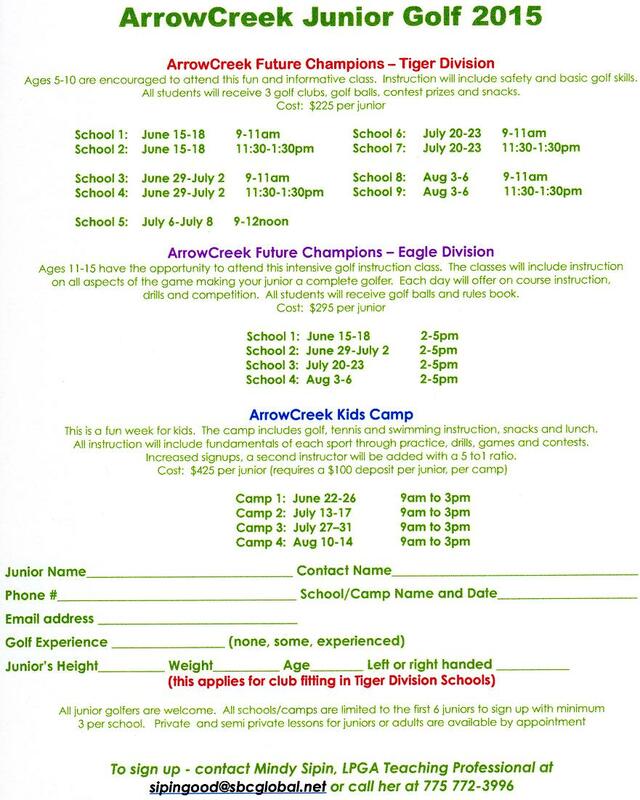 These camps are sure to be a fun filled week for the kids!! Here are front and back flyer images to download and print.